I came in at about 10.30am because I didn't need to sit through the whole lot just to get an idea of what they were doing... besides, it got boring real fast hearing the same three lines over and over and over again. 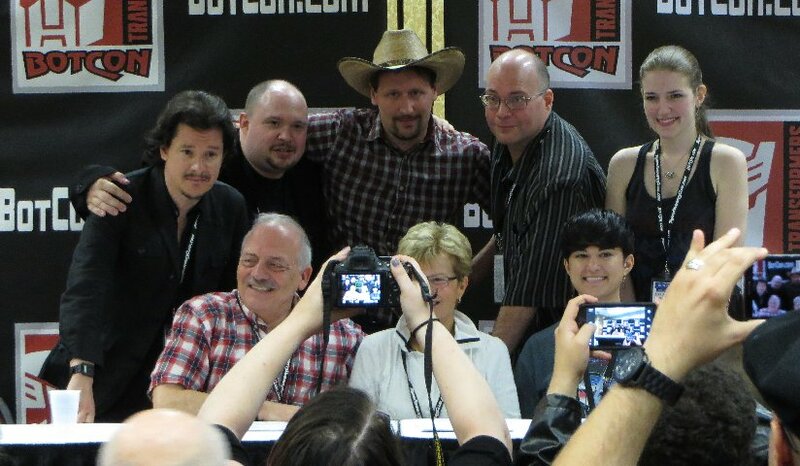 There were a lot of people, but the crazy thing was that they had two female roles and just one male role... when you'd think that a convention that has over 75% male, it would be two male roles and one female role. Because as you can imagine, the auditions took a lot longer than they needed to due to them only being able to test one male at a time for each round... and they kept trying to convince the ladies to queue up 2 or 3 times just to give most of the males a go. Even still, they ran out of time and ladies, so about a dozen guys ended up missing out on auditioning. Two of the Australians had a go, including Paul from our site. He was one of the last to get a go, and since they had run out of females, Derryck Wyatt was reading their parts. The short list of 12 (four of each role). 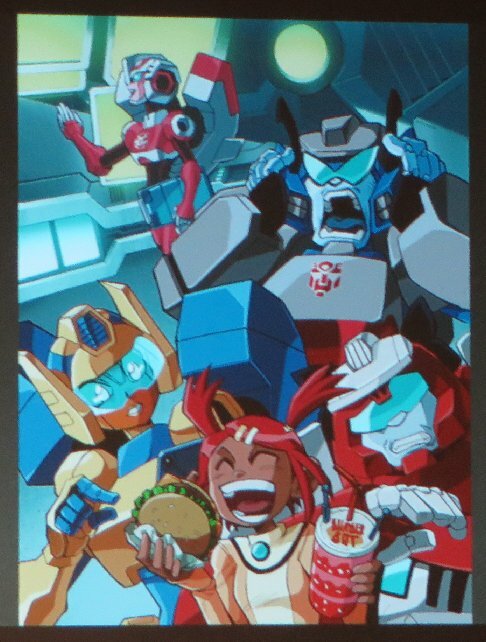 And the winning three, who would come back later in the day to read the characters Sari, Hosehead and Nightbeat (who is a female in Animated). 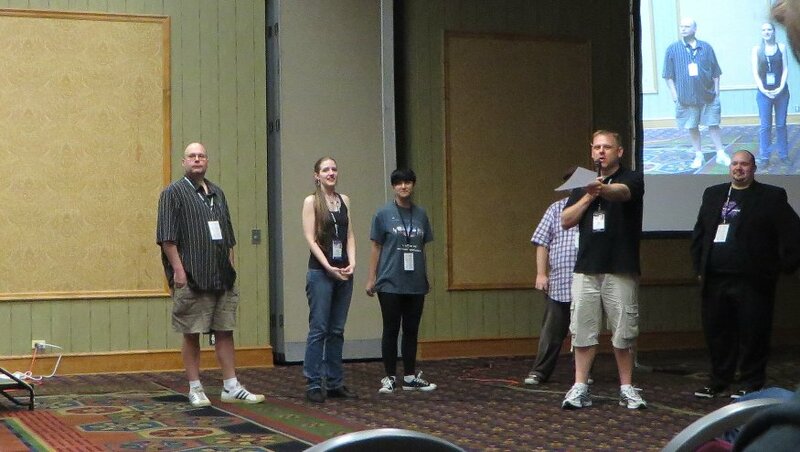 The Auditions went long, going almost 90 minutes (until 11.30am), which meant the next panel started really late. Since the Auditions session didn't deserve its own page, the actual Script Reading session is below. 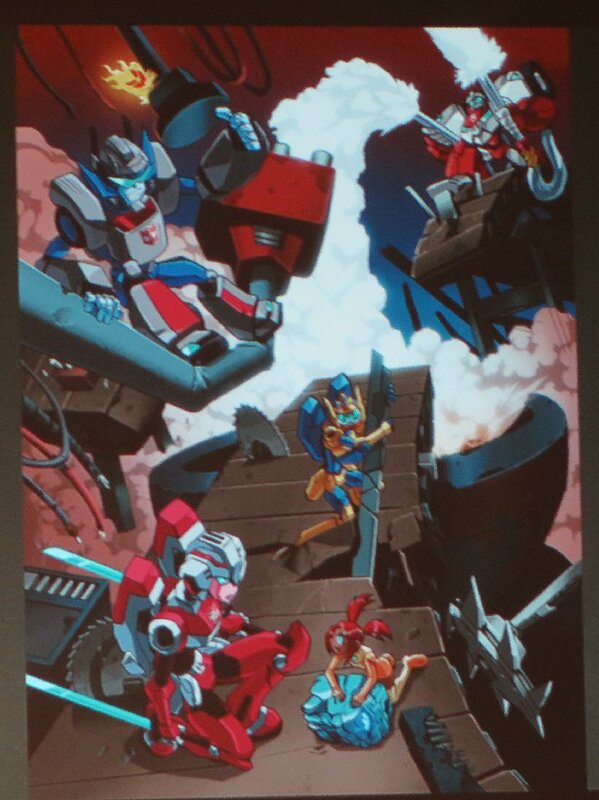 But between the two was a Panel called Art of Transformers, which is a Q&A panel of several artists. Go to it here if you want to then come back to this page in the same order of the attendees, or keep going on this page and there is another link to that other panel at the end. 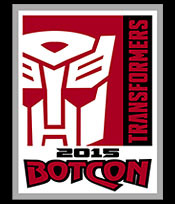 (The three audition winners) - Sari, Hosehead, Nightbeat. Script written by Marty Isenberg. 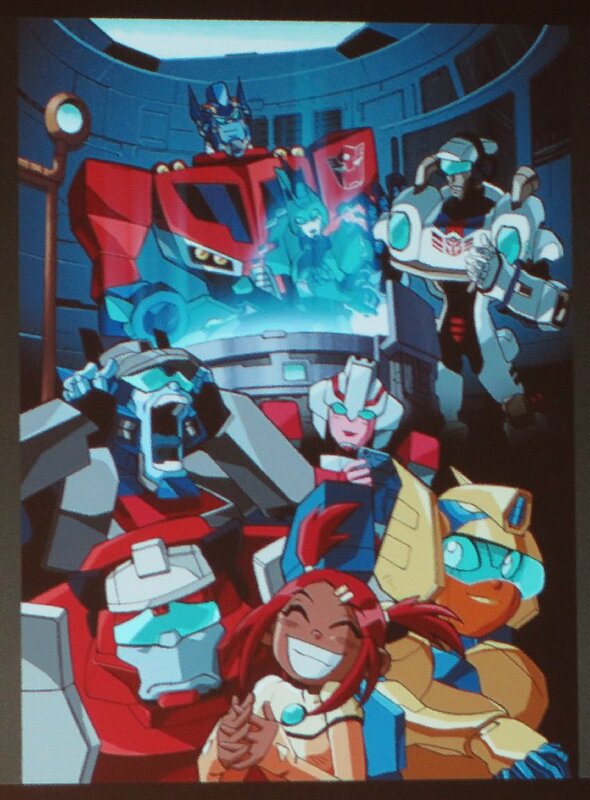 The story is set in the Animated cartoon universe after the end of Season 3, which had Blurr end up crushed into a cube and lost. 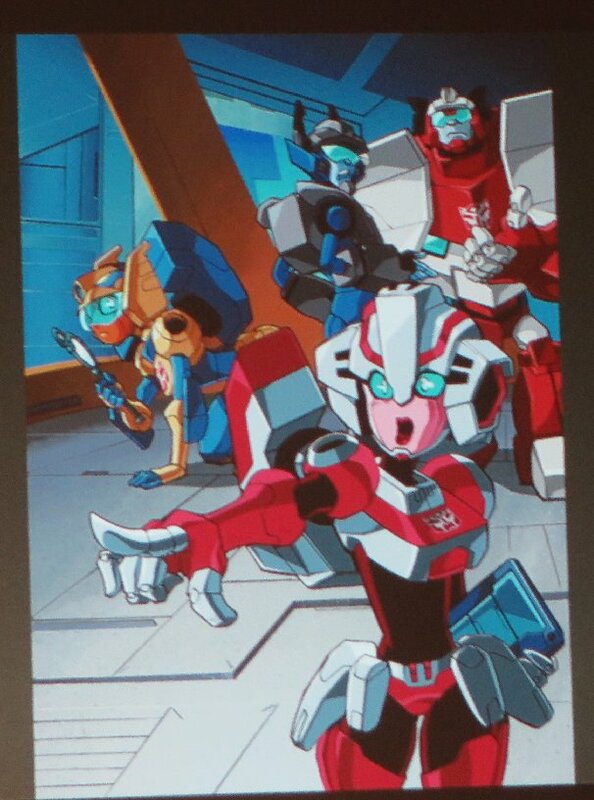 The story starts off with Sari on Cybertron, and runs into Arcee, Hosehead, Siren and Nightbeat who are on a field trip, with Arcee as the teacher. Sari gets lost and finds the Blurr Cube. 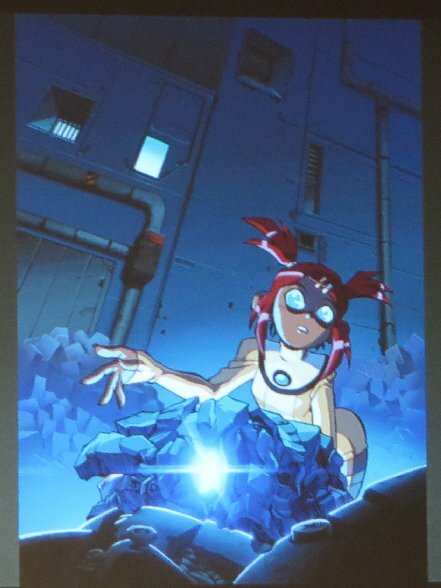 She uses her Matrix power to be allow Blurr to speak, but ends up absorbing his super-speed. 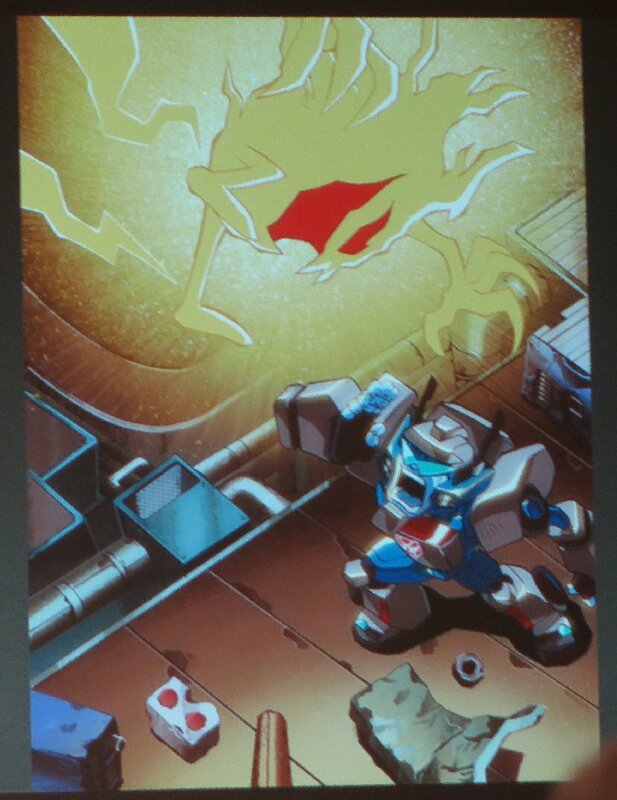 In the process of trying to find the others, they stumble on Kremzeek, who ends up possessing Siren then Nightbeat then Hosehead. Kremzeek then possesses Sari, who races off with her new super speed... passing by Cheetor and Sideswipe and ends up at the Trypticon Prison. Jetfire and Jetstorm are in the control tower bored, and Sentinel Prime tries to get them to attention. 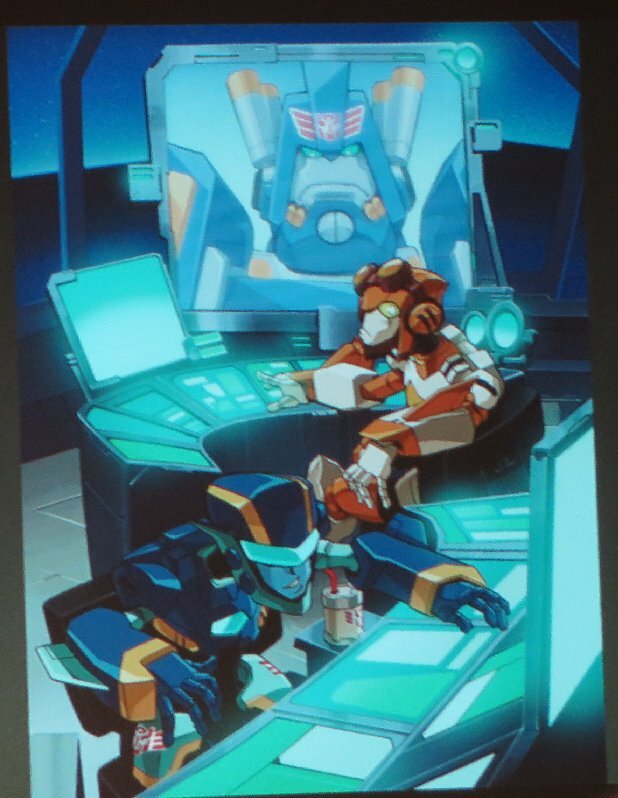 Before Kremzeek can possess the prison and release all the Decepticon prisoners, Sari manages to get Kremzeek into her soda bottle, and trap it. Later, Optimus helps with making sure Blurr gets a new body. I wanted to get a better group photo at the end there, but my camera battery ran out, and they dispersed before I got a second shot. 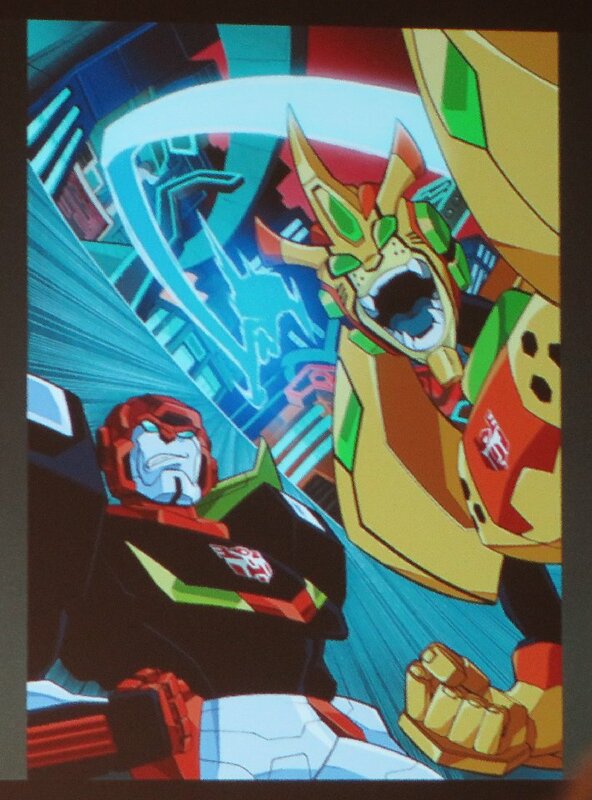 That was the last panel of the Convention that I covered, but if you skipped the Art of Transformers link above, go to it here.